Talking about bias can be difficult. However, frank and honest conversation is necessary for creating equitable and inclusive environments, whether it’s in the workplace, the classroom or among friends and family. For the first Utah Wonder Women event of 2018, we had the opportunity to welcome writer, researcher and thought leader Lauren Leader-Chivee for a Q&A about diversity, empathy and recognizing our own biases. Sponsored by Sarah Burney and her team at JPMorgan Chase & Co., Leader-Chivee flew to Salt Lake City exclusively for our event, joining us at Frida Bistro on March 22, for an evening of food, good conversation and even better company. 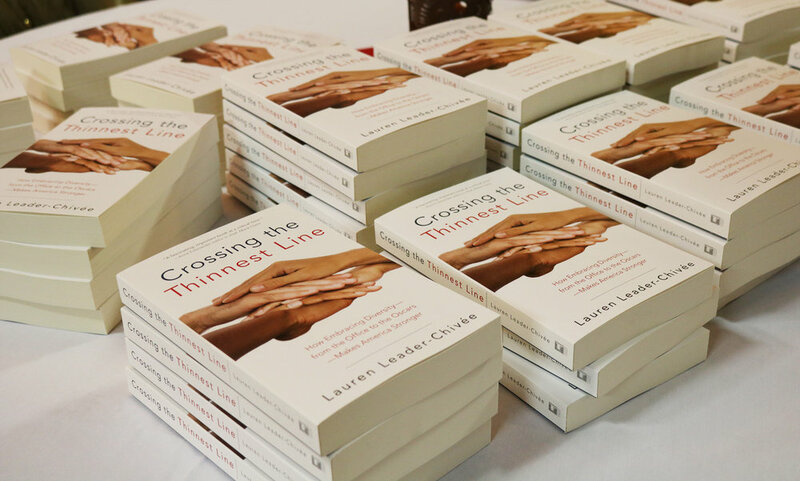 If you aren’t familiar with Leader-Chivee’s work, her book “Crossing The Thinnest Line,” discusses diversity as, “the most under-leveraged economic asset in the United States.” Often referred to as a leader for a new generation, Leader-Chivee is the founder and CEO of All in Together, a non-profit dedicated to teaching women how to have a voice in politics. And having a voice was a key theme of the evening. Referencing the fatigue often associated with conversations about gender and racial equality, Utah Wonder Women co-founder Jacki Zehner asked Leader-Chivee how activists can retain their enthusiasm and commitment to the cause. When Zehner opened the discussion for member input, many women spoke up about personal experiences with bias. Some asked for guidance on how to react when they experienced bias or recognized their own actions as non-inclusive. Leader-Chivee emphasized the importance of women of privilege as allies, especially when difficult conversations need to be had. We’d like to thank JPMorgan Chase & Co. for generously sponsoring our event, Jorge Fierro for allowing us to use his beautiful venue and Lauren Leader-Chivee for sharing her insight with us. We’d also like to thank the Utah Wonder Women who joined us in kicking off another great year!